I feel like I have too many balls in the air at the moment, and as a result I’ve been feeling a bit frazzled. Long days at work have made my shoulders quite tense and sore, and late nights mean that I’m a bit behind on sleep too which hasn’t helped matters… With all that on my mind it was such a treat to receive these goodies from Aromatic Apothecary. Each product is specifically formulated to target the areas that you need help in. I received the Stress Relief Trio including the Roll on Relief, Rub in Relief and Spray on Relief. And then to round it off, I also tried the Relaxer. The Roll on Relief is perfect for me because I haven’t quite been able to convince my man that he is obligated to provide shoulder massages on a daily basis. 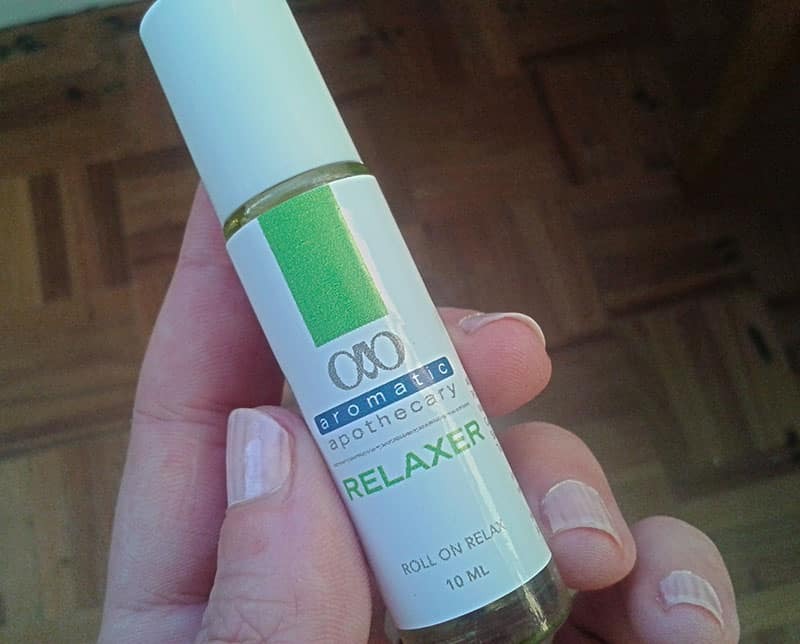 The Roll On Relief is the best product for self-massage and works well to penetrate deep into the muscles. It massages and applies the therapeutic essential oils at the same time. It’s packed full of essential oils in a gel base, including Ginger, Rosemary, Peppermint and Lavender. Ideal for relief from sports injuries, arthritic pains, bruises and stiff muscles and joints. The Rub in Relief works well for Best for knees and joints, this is an absorbent and therapeutic muscle and joint cream. I’ve recently started running again and so inevitable the aches and pains are somewhat mitigated by using the Rub in Relief after a hot shower. It contains Peppermint, Eucalyptus, Cajeput and Menthol making it ideal for painful joint and muscular conditions. The Spray on Relief is very convenient, and you don’t even have to get it on your hands when you apply it! Similar to the Roll on Relief, it contains Ginger, Rosemary, Peppermint and Lavender. But the addition of Menthol makes it feel amazing because it instantly cools the area, before the joint or muscles are warmed up by the Ginger and Rosemary. The convenient spray-on application works for quick relief of painful muscles, spasms and sore joints. The last product I tried was the Relaxer, I love that this product includes Jojoba and Almond oils. My neck is generally incredibly tense so I’ve taken to rolling it on my muscles every couple of hours. It smells amazing too! Visit their website here: www.Aromatic.co.za, or you can try their products for yourself at their kiosk on the ground level (between Woolies and Willoughby’s) at the Waterfront. * I was given products to try out, all views are my own.